The Catholic Conference of Bishops is between a rock and a hard place in this election. They are on record as castigating both parties. They slammed Obama for his health insurance clause that the bishops claimed meant they had to subsidize birth control for their employees. But the Republican ticket has felt the lash as well. Paul Ryan’s budget was roundly slammed by the bishops for its cuts on programs to the poor. So the presidential election sets up an interesting dilemma for them. There are two Irish Catholics on the tickets, making it certain that a Catholic voice will be prominent in the White House whatever happens. But which one would they prefer? 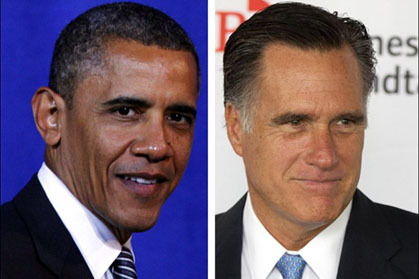 I have no doubt they would prefer a Romney/Ryan ticket to succeed. The church is now heavily dependent on Hispanics for renewal and have staked out a position on immigration far closer to the Democrats. That is a huge issue in this election. But I still feel the bishops, or the vast majority of them, will side with Romney/Ryan. The tiebreaker of course, is abortion which both Romney and Ryan oppose and Obama and Biden support. In addition, social justice issues have slipped down the scale in favor of adhering to the conservative orthodoxies espoused by this pope. The Catholic vote is critical and the Bishop’s role is powerful, yet it is clear that cultural Catholics, those raised in the faith who no longer practice it weekly, are not influenced by their bishops any more. Those who are tend to be regular mass goers who hear the weekly sermons. The Catholic Church has come a long way since President Kennedy faced extraordinary suspicion over his Catholic roots. Nowadays swing Catholics in key states are the most sought after voting block. The Bishops have a major hand to play. It will be interesting to see how they deal their cards.